The Newsletter of November 2016 is online! Home → News → The Newsletter of November 2016 is online! 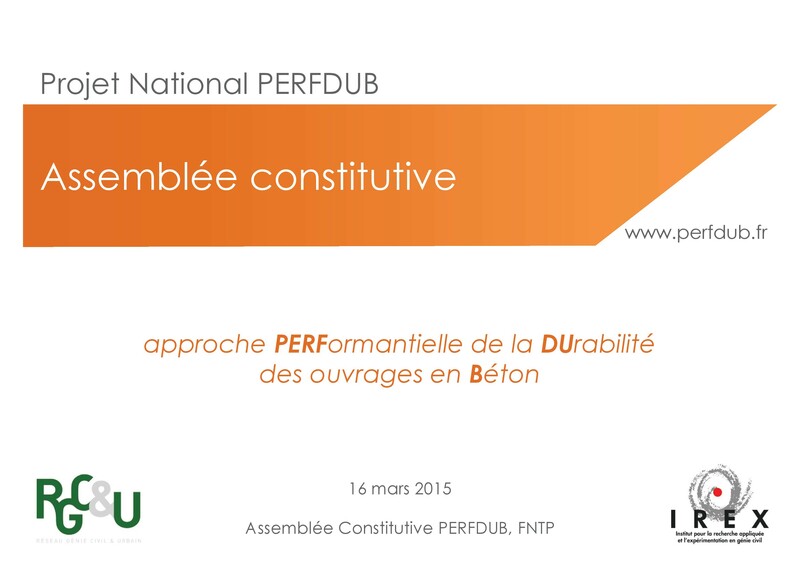 The French National Project PERFDUB (approche PERFormantielle pour la DUrabilité des ouvrages en Béton) set up newsletter in which you will be able to find all the latest news of the various workgroups. The National Project PERFDUB (2015 – 2019) gathers 50 partners, stakeholders in the construction industry (Owners, Engineering, Contractors, Researchers, and Manufacturers/suppliers). Its main objective is to define at a national scale a methodology for justifying durability of concrete (and concrete structures) with a performance-based approach, including the “absolute” and “comparative” methods. It aims to aggregate the knowledge and feedback, to fill gaps, in a framework involving all stakeholders so that the performance-based approach becomes operational and common.